Youth Soccer Month 2017 is here and Eastern Pennsylvania Youth Soccer is once again hosting a number of contests and events. That means that the ever popular Ball-A-Day Giveaway is back! 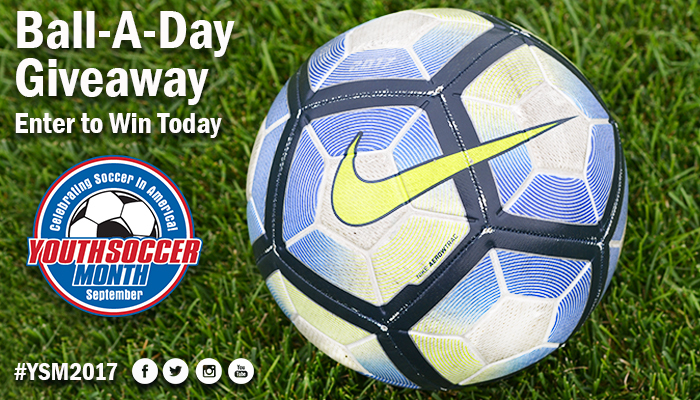 Sign up below to have a chance at winning a brand new Nike soccer ball. Eastern Pennsylvania Youth Soccer will pick one winner a day for the month of September. Good luck and thank you for helping us celebrate youth soccer all month long!